John B. Ruddock, 85, of Van Wert, Ohio died Tuesday evening, September 4, 2018 at Vancrest Healthcare Center in Van Wert. He was born November 17, 1932 in Port Clinton, Ohio to the late Charles and Louise (Turner) Ruddock. He was married to the late Gloria Jean (George) Ruddock for over 50 years. He is survived by two sons, John C. Ruddock of Findlay, Ohio and David G. (Karen) Ruddock of Powell, Ohio; and three grandchildren, Meagan, Alyssa, and Braeden Ruddock. John retired from the Data Processing Department of Central Insurance Company in Van Wert with over 40 years of service. 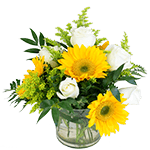 He also owned and operated a tax preparing business for many years. Mr. Ruddock was a veteran of the United States Army where he served during the Korean War. 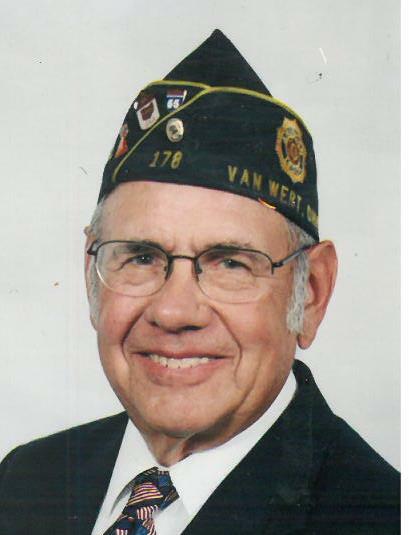 He was a member of the First United Methodist Church and the Van Wert American Legion Post- where he also served as Post Commander. John was very involved with Buckeye Boys State, the Van Wert Apple Festival and, with his wife Gloria, the Van Wert Y.W.C.A. He also attended Miami University in Oxford Ohio, had a love for animals- especially his cats, and was a Cleveland Indians fan. Most importantly he cherished the time spent supporting his grandchildren’s athletic and performing arts activities. In addition to his parents and wife, John was preceded in death by his brother, James Ruddock. Funeral services will be held at 11:00 AM on Saturday, September 8, 2018 at Alspach-Gearhart Funeral Home and Crematory, Van Wert. Burial will immediately follow in Venedocia Cemetery, Venedocia, Ohio. Visitation will be from 4:00-8:00 PM on Friday, September 7, 2018 at Alspach-Gearhart Funeral Home and Crematory. Also, one hour prior to services Saturday at the funeral home. Preferred memorials may be directed to the Van Wert Y.W.C.A. or Van Wert County Humane Society.